TopSpec is owned by experienced equine nutritionists whose goal is to achieve excellence in every aspect of equine nutrition, from selection of the highest quality ingredients, creating innovative, excellent formulae, manufacturing to the highest European standards and providing the most comprehensive nutritional advice to clients. Their nutritionists work closely with many of the leading equine veterinary practices in the UK and provide ‘follow-up’ advice on nutrition and management to their clients. “I started using SUCCEED on a couple of my upcoming intermediate horses and one advanced horse – and I’ve been really pleased with the results. Both horses were not good doers but on SUCCEED they’ve both gained condition and more importantly held it while preparing for three-day event campaigns. They’ve never looked better and I think SUCCEED has played a part in helping maintain healthy gut function in these horses which were previously hard to build and maintain condition,” Bill says. 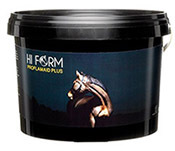 HiForm’s Proflam Aid has been an important product in maintaining the health of Alfie an older event horse who has been competing successfully in the Event Rider Master series. Alfie is the most capped horse of the series, he has finished in the top 5 of each year to date. It has helped him cope with the stresses and strains of running in a pan European CIC series against the best competition in the world. We are looking forward to the 2019 series, and thank Hi Form for their continued support. Team Levett are delighted to be working with Premier Equine to ensure superior protection for our team of horses. The 2019 season will see our horses protected with Carbon Tech Air Cooled Eventing Boots. Engineered to protect, technically advanced fabrics and lifetime guarantee strike guards provide superior strength and durability from Premier Equine eventing boots. Patented air-cooling technology keeps tendons cool while out on the cross country field and the innovatively designed horse boots are shaped to provide maximum coverage, protection and comfort. The revolutionary Carbon Tech Air Cooled Eventing Boots are constructed from Carbon Tech microfiber leather. Carbon Tech Microfiber leather is stronger than real leather, stretches and moulds to the horse’s leg and retains its original shape. It has the advantage of being lighter but offering greater protection and the good news is that it is fully machine washable and has excellent durability. 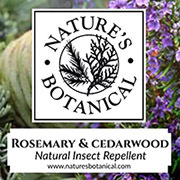 Keep an eye out for other Premier Equine products keeping our team of horses protected. Fairfax & Favor is a charming, Norfolk-based brand, owned and run by two young entrepreneurs, Marcus Fairfax Fountaine and Felix Favor Parker. A multi-channel shopping destination for footwear and accessories for men and women, the products are of the finest quality, designed to last a lifetime. Celebrating fun and adventure with a spirited take on British culture and heritage, the brand’s soul lies in its cavalier attitude to life. 2019 will see Bill collaborating with Fairfax & Favor and showing that the Fairfax & Favor brand is relevant to the more mature end of the market and not just the young’uns! 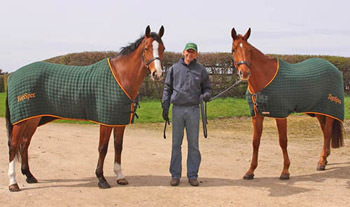 FMBs produce advanced equine therapy equipment to enhance suppleness, fitness and rehabilitation; Activo-Med electromagnetic and massage rugs, boots, lasers and cold therapy plus dry and water treadmills, spa, solarium, nebulisers and washroom equipment. 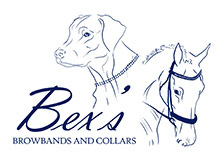 Bex’s Browbands and Collars can offer you a high quality, bespoke product that is perfect for any occasion and to suit every budget. They specialise in browbands, dog collars and stock pins as well as other accessories. All their products are hand-made to order in the UK, using the highest quality leather, crystals, beads and ribbons. A Hume Country Clothing is a 3rd generation family business, with two retail premises located in the Scottish Borders market town of Kelso as well as an extensive online offering. A Hume focus on providing premium lifestyle country clothing for Ladies and Gentlemen. Through the provision of niche brands not found on the high street and with a focus on sourcing the very best of both local and global products A Hume’s collection includes Australian sourced RM Williams footwear and clothing, premium country brands including Dubarry of Ireland, Schoffel and Fairfax & Favor, as well as locally sourced tweeds and premium quality cashmere from the mills of the Sottish Borders. Form Equine are always on the look out for high quality brands that focus on the care and well being of horses. The latest addition is from the German based Geckwin e.K. who are the creators of the Somèh Brand, one of the largest brands in Europe for innovative bags who have now turned their attention to our Equestrian world. Over the last 20 years, there has been considerable focus on design, detail, practicality and style, so when they made the decision to move into equestrian products there was a detailed consultation process with horse owners and riders to understand what was missing in the market and what was required. The result are adaptable and practical products that look great, work brilliantly and are a must whether you are at home or out at a competition. The British weather often gets in the way, we often ride in the wet – all materials are run proof – no dye on white shirts and jods. All jackets can be washed in your washing machine. Quality is the watch word in everything they do from design through to materials, tailoring and finishing. The New South Wales Institute of Sport (NSWIS). The NSWIS has provided financial support for coaching assistance that Bill can use to train with coaches of his choice.